Blend each layer individually. Layer carefully in a glass. Make sure to work quickly or your layers won't be an even consistency and won't layer well. 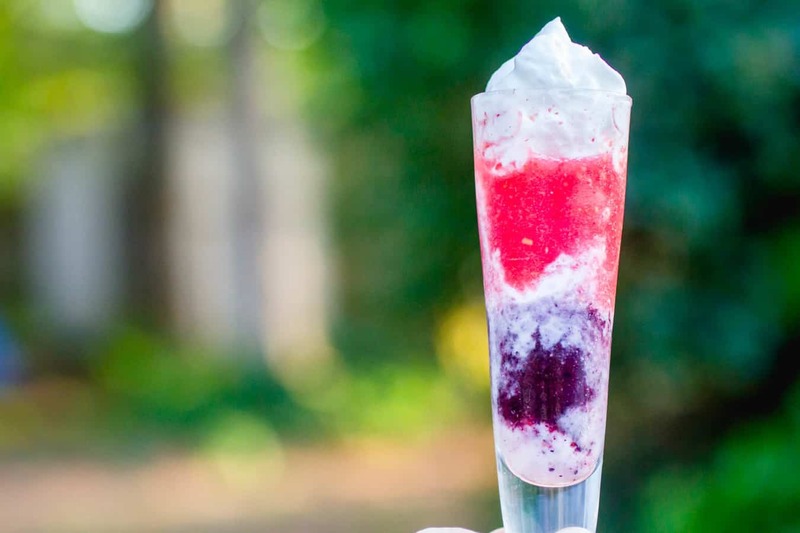 This layered frozen triple berry sipper is three kinds of daiquiri, layered and topped with some sweet whipped cream. 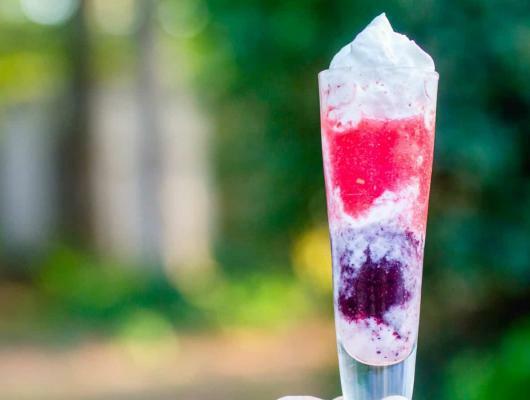 It is a delicious adult summer treat. Make it kid-friendly by substituting some lemon-lime soda instead of the rum! Check out my blog post here!